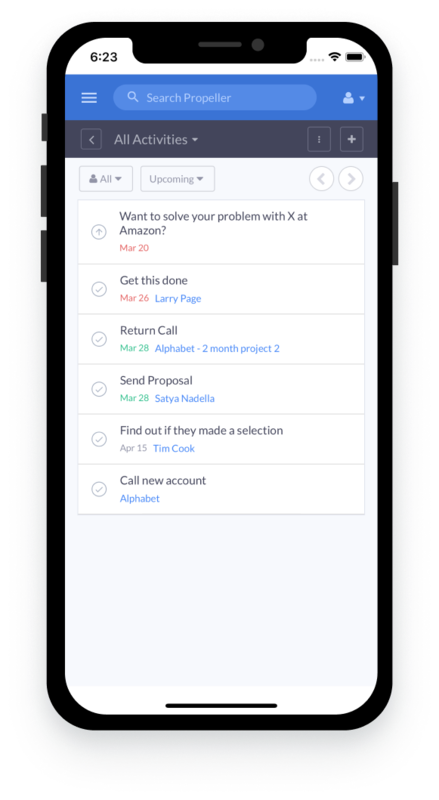 Manage your sales tasks, follow-ups, and reminders at a glance. Keep every deal moving forward whether you’re in the office or on the road. Propeller makes it simple to keep a 360-view on all of your activity so you’re always in the loop. 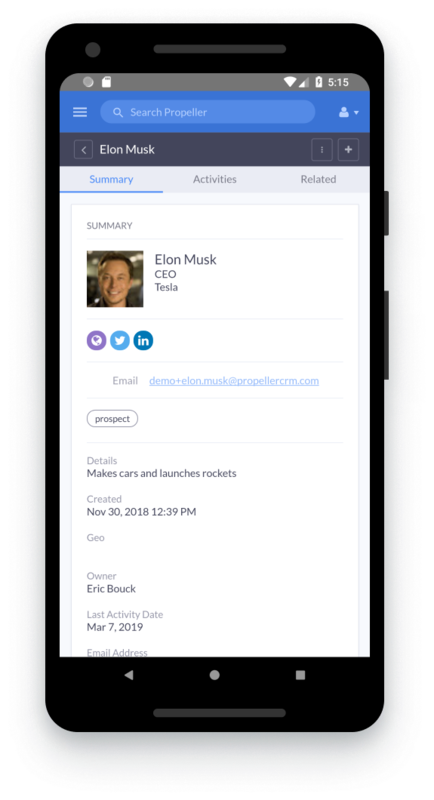 Access contact details, check conversation history, and see stakeholders at a glance. Walk into every sales meeting feeling confident and prepared. 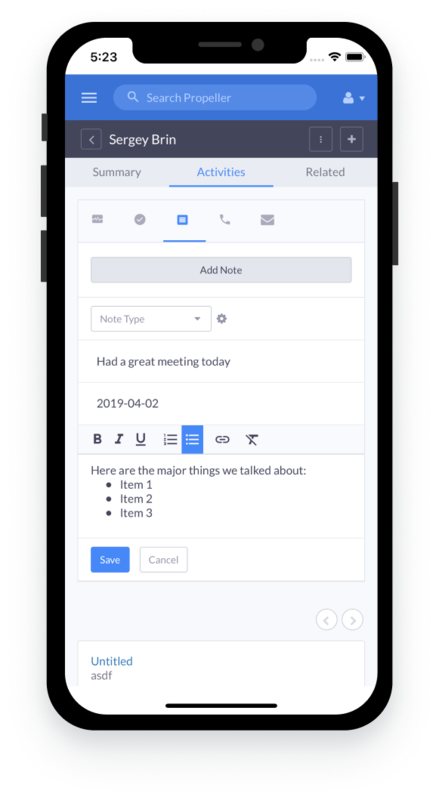 Notes and tasks for every opportunity at a glance. Get a full briefing before any sales conversation without skipping a beat. Propeller shows your team’s entire conversation history with each contact a glance, so you’ll always know exactly where you stand and how to close like a pro. Never miss an important note or forget a follow-up. Take notes and schedule tasks while you’re on the go. Every update syncs with the desktop app, visible for you or your entire team. Track and update every deal in your pipeline. 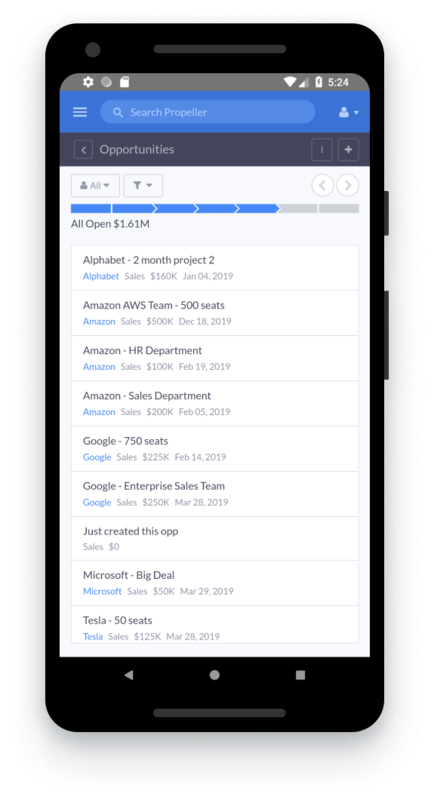 Add new opportunities or update deal status in real-time. Whether you’re a team of 1 or 100, Propeller makes it easy to keep every deal on track.